Learn how ten library authorities in the East got 11 - 18 year olds reading for pleasure and responding creatively to books. Transported is a Creative People and Places funded programme that aims to get more people in Boston Borough and South Holland enjoying and participating in arts activities. This project set out to explore libraries as community hubs that offer opportunities beyond ordinary library use. Transported is a strategic, community-focused programme which aims to get more people in Boston Borough and South Holland enjoying and participating in arts activities. In 2013, as part of its Open Book project working with the Lincolnshire County Council Library Service, Transported commissioned Pestiferous to create a site specific piece of theatre that would tour eight libraries in Boston Borough and South Holland. The piece - The Librarians - engaged library services users in the arts whilst drawing in new audiences into the libraries. Every year The Reading Agency partners with libraries to create the Summer Reading Challenge, the UK’s biggest children’s reading promotion. Children are encouraged to read six library books of their choice over the summer holidays. They join the Challenge at their local library, where library staff and volunteers give out themed materials and incentives, and medals and certificates are awarded to those who finish six books. This case study details the 2013 Challenge - Creepy House. The Reading Agency's Six Book Challenge takes place every year in libraries, colleges, workplaces and prisons and invites participants to choose six reads, review them, and enter prize draws. This article describes how jobseeker Paul Bennett, 55, who went back to college in Warrington to improve his English skills, completed the Six Book Challenge with the hope of winning a prize draw for Rugby League World Cup 2013 tickets. The Reading Well Books on Prescription scheme was launched in June 2013 and provides self-help reading for adults based on cognitive behavioural therapy for a range of common mental health conditions including anxiety, depression, phobias and some eating disorders. This case study by The Reading Agency, describes how iCope - Islington Psychological Therapies and Wellbeing Service is working in partnership with Islington Libraries to run the scheme in Islington. The Reading Agency’s innovative Reading Activist programme is funded by Big Lottery in 18 authorities across 4 regions. This case study describes how the St Helen's Reading Activists programme has helped to engage with disadvantaged young people from deprived areas of the town with positive outcomes for the young people involved. The Reading Agency’s innovative Reading Activist programme is funded by Big Lottery in 18 authorities across 4 regions. This article describes the success of Gateshead Central Library's Reading Activists - a group of 12 young people aged 13-19 who meet regularly to plan and organise events at the Library for young people. This has enabled the young people of Gateshead to shape their own space and service at Gateshead Central Library. This article by The Reading Agency describes how the Chatterbooks programme uses multi-sensory stories to engage with children with disabilities. Libraries involved in this programme have developed valuable links with local special educational needs schools whilst enabling disabled children and young people to have greater access to services and activities in their local and wider community. Librarycamp is a free unconference with the agenda set by attendees on the morning of the event - a Do-It-Yourself conference. In this case study, Sue Lawson of Librarycamp UK talks about how to organise unconferences for people interested in improving libraries, and shares useful tools and resources for anyone in any field interested in bringing the unique benefits of the ‘unconference’ format to their sector. 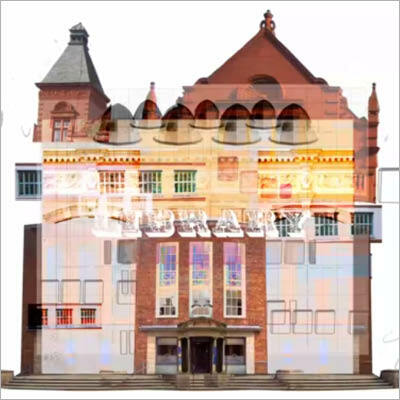 Since 2008 Manchester Library and Information Service has used social media including blogging, sharing photos/videos, tweets and Facebook to promote resources and activities and reach new audiences. Written by Sue Lawson from Manchester Library, with contributions from Linsey Parkinson (Heald), writer and marketing consultant, this case study describes how social media has helped Manchester Libraries to develop its relationships with customers, publishers, authors, librarians, and bloggers from Manchester and beyond. Discover what lies ahead for libraries, and what we can do to help them develop. This major research project commissioned by Arts Council England intends to help set out the value, role and purpose of public libraries with clarity. It points out ways that libraries can respond to change in order to remain at the heart of the community, and gives focus for work in the future. This is the main report covering the first two phases of the project. This research establishes a baseline for community engagement in Libraries for funders to use for evaluation of the Communities Libraries Programme. It reports on what the programme has achieved including refurbishment or building development projects, it provides case studies of excellence in Bristol, Newcastle, North Yorkshire, Nottingham, Sandwell and Slough and it outlines areas for improvement: Vision and goals - more focus and buy in required Community segmentation - which is often based on traditional demographics not predictive, behavioural or interest based sectors. Organisational transformation More effective communications Use of social networks focused around libraries Methods and metrics to measure impact. What makes people visit a museum, library or archive? An overview of research into the activities that are most likely to increase attendance and participation in museums, libraries and archives. It tells us about typical non-users and users, and looks at the activities which work best with current non-users and which work with users to increase the frequency of their visits. How well are libraries engaging with the community? The final 150-page report evaluating community use of public libraries following Big Lottery funding. Using case studies, the report measures how well the libraries engage with their communities, whether perceptions of library services have changed and how much impact the funding has made on learning and skills development for users, staff and volunteers. This case study examines how innovation helped to engage and develop the low library-using 14-25 age group (and other library non-users) with public libraries through a programme of the best new emerging live music supported by associated creative workshops and training opportunities. The project actively supported the NEET (not in employment, education or training) agenda in a contemporary way, engaging hard-to-reach groups in deprived communities with youth-led volunteering, educational and social opportunities. This report, "Confidence All Round", explores the individual and societal outcomes for emergent readers from libraries’ creative reading activity in partnership with the Skills for Life sector. The fit of these outcomes is mapped against the Shared Priorities and the Adult Literacy Core Curriculum to provide evidence of how the approach can help libraries and the Skills for Life sector achieve their objectives. Recommendations are made for enhancing the effectiveness of libraries’ creative reading activity at both a strategic and tactical level.